Understanding Islam and its rites as they really are described in the Quran is essential to unite the human race in true Islam and, God willing, restore peace on earth. Salât is the most important ritual together with zakât, and God decreed in the Quran that it shall be preceded with a call to prayer (5:58, 62:9). We cannot rely on “hadiths other than God and His revelations” (45:6) to implement this divine command in the Muslim society, as they are not revealed nor inspired by God but by malevolent forces, and it is therefore imperative for us to rediscover the call to prayer that the Lord decreed in the Quran. Regarding the crucial question of salât, an in-depth study of the Quran has allowed, by the grace of God, to justify or resolve from a Quranic perspective many issues that arose, such as the actual number of daily prayers (five daily prayers, four or which are mandatory, the night prayer being optional), the number of rakaʿât per prayer (two for each prayer), the successive phases during the prayer, four prostrations per prayer (two in each rak’ah), the final tashahhud at the end of the second rak'ah, and many other topics that are addressed in detail in the main article entitled “Salât in the Quran”. The issue of the call to prayer in the light of the Quran will be solved in this article, God willing, thanks to the use of the grammatical logic of the Quran, which will allow us to determine where it is located. The next step will be to gather a converging body of evidence that will prove decisively that it is indeed the call to prayer decreed by God. The Quran explicitly states that a call to prayer shall be made right before the Friday prayer (62:9), as well as before any mandatory prayer in general (5:58). Moreover, Allah proclaims that the Quran is fully detailed (7:52, 6:114, 10:37). Let us not shy away from the truth: It is by definition impossible that it is not directly mentioned in the Quran, and in this case, it is mentioned word for word. The reason why it took time to rediscover the original call to prayer revealed by God in the Quran and instituted by the Prophet in the nascent Muslim community in his time is that this divine ritual was completely obliterated overtime from the Muslim faith by people who consistently gave preference to “hadiths other than God and His verses” (45:6) over the Quran. Sunnis and Shias have a visceral urge to associate the Prophet Muhammad beside God by mentioning his name next to Allah in their “adhân” and Shahadah. Indeed, “when God alone is mentioned, their heart is filled with disgust”, whereas “when others [names] are mentioned beside Him, they rejoice” (39:45). The first step of this study will be to explain how the Sunni world came to accept the “adhân” in place today. We will point out at the disparities that are so typical of hadiths and that Sunnis and other sects often choose to ignore. We will also analyze why the Sunni or Shia “adhân” violates the message of the Quran in several ways. We will then explain a key concept in Arabic which is the “active participle” and describe how it is derived from verbs by providing simple Quranic examples which illustrate that the Quran functions according to a simple and rigorous logic. It is by understanding this very grammatical point in relation with verses 5:58 and 62:9 that we will be able to identify the verse where the call to prayer is. We will therefore study the two most obvious verses that mention the call to prayer (5:58 and 62:9) and turn our attention to the verb "nâdâ" (نَادَي, to call, form III) which God carefully chose to refer to it. As any Muslim knows, the words “adhân” (أَذَان) and the active participle “muazdhin” (مُؤَذِّنٌ = announcer) are commonly used in the Sunni world to refer to the call to prayer and the person who performs it (the muezzin). We will therefore compare the verb “nâdâ” in 5:58 and 62:9 with the verb “azdhana” (أَذَّنَ, form II) from which is derived the active participle “muazdhin” (مُؤَذِّنٌ = announcer, form II), as well as the word “adhân” (أَذَان) and study their meaning in the Quran. We will prove that the use of the word “adhân” (أَذَان) and the active participle “muazdhin” (مُؤَذِّنٌ) in the context of the call to prayer is a corruption of the perfect Arabic language revealed by God in the Quran. We will demonstrate that the solution to our problem is to simply comply with the Quranic logic that consists of forming active participles by deriving them directly from the verb that defines a particular action in the Quran (in this particular case the verb « nâdâ, »), instead of reinventing the wheel by choosing instead a verb from a completely different root as is the case with the verb “azdhana” and the words “adhân” and “muazdhin” in corrupted Sunni and Shia Islam. We will therefore naturally direct our attention to the active participle of the verb “nâdâ” (نَادَي, to call, form III), which is derived from the verb used for the call to prayer in 5:58 and 62:9. This active participle (مُنَادِي, مُنَاد, form III) occurs twice in 3:193 and 50:41, and we will therefore study these verses and their context. It is this simple and logical path that will enable us to locate the person responsible for making the call to prayer (literally “the caller”), as well as the words that he pronounces while performing it, which are mentioned word for word in 3:193. The following step will be to clarify the context of verses 3:191-193 and to prove that they are indisputably related to the practice of the ritual prayer, which is not obvious at first glance. We will achieve this goal by comparing the use of some key words in 3:191 with two related verses which employ these very same words. We will then demonstrate that the words which constitute the Quranic call to prayer reflect the very reason of the existence of the salât and its deeper meaning in the Quran, unlike the corrupted Sunni “adhân” in use today. We will finally show that verse 3:193 occupies a logical position compared to the verse that mentions the call to prayer on a regular basis. We will finally explain from a Quranic standpoint how many daily calls to prayer are required in a Muslim society, thus concluding our study. 8. Call to prayer or call to faith? 10. How many daily calls to prayer are needed in a Muslim society? 11. How many times should we recite the call to prayer before a given salât? The Islamic world has completely lost, and for well over a thousand years, the ritual of the call to prayer which is mentioned in the Quran and was implemented by the prophet during his ministry. Muslim gradually fell into idolatry after his death by abandoning the purity of Quranic teachings in favor of “hadiths other than God and His verses” (45:6), despite the fact that they blatantly contradict the book of God. This is why they chose to substitute to the Quranic call to prayer one that is derived from hadiths collected two hundred years after Muhammad’s death. Allah is the Greatest, Allah is the Greatest; I testify that there is no god but Allah, I testify that there is no god but Allah; I testify that Muhammad Is the Messenger of Allah, I testify that Muhammad is the Messenger of Allah, and it should be again repeated: I testify that there is no god but Allah, I testify that there is no god but Allah; I testify that Muhammad Is the Messenger of Allah, I testify that Muhammad is the Messenger of Allah. Come to the prayer (twice). Come to success (twice). Ishaq added: Allah is the Greatest, Allah is the Greatest; there is no god but Allah. - I testify that there is no god but Allah. - “Allah Akbar” is recited only twice instead of four times at the beginning of the generally accepted adhân in the Sunni world and accepted by three out of the four Sunni schools of law (Shafi’i, Hanbali and Hanafi schools). I will not argue with Sunnis who claim that halfway through the hadith, the narrator simply resumes the thread of the adhân after a pause, because otherwise one can legitimately say that “I testify that there is no other god but Allah” and “I testify that Mohammed is the messenger of Allah” are repeated four times each instead of two (The hadith literally says: “I testify that there is no god but Allah, I testify that there is no god but Allah; I testify that Muhammad Is the Messenger of Allah, I testify that Muhammad is the Messenger of Allah, I testify that there is no god but Allah, I testify that there is no god but Allah; I testify that Muhammad Is the Messenger of Allah, I testify that Muhammad is the Messenger of Allah). So let’s just pretend that the adhân is identical to the one we hear everywhere, except for the fact that “Allahu Akbar” is recited only once. أَكْبَرُ اللَّهُ أَكْبَرُ‏.‏ قَالَ مُعَاوِيَةُ اللَّهُ أَكْبَرُ اللَّهُ أَكْبَرُ‏.‏ قَالَ أَشْهَدُ أَنْ لاَ إِلَهَ إِلاَّ اللَّهُ‏. ‏ فَقَالَ مُعَاوِيَةُ وَأَنَا‏.‏ فَقَالَ أَشْهَدُ أَنَّ مُحَمَّدًا رَسُولُ اللَّهِ‏.‏ فَقَالَ مُعَاوِيَةُ وَأَنَا‏. Narrated Abu Umama bin Sahl bin Hunaif: I heard Muawiya bin Abi Sufyan (repeating the statements of the Adhân) while he was sitting on the pulpit. When the Mu'adh-dhin pronounced the Adhân saying, “Allahu-Akbar, Allahu Akbar”, Muawiya said: “Allah Akbar, Allahu Akbar.” And when the Mu'adh-dhin said, “Ash-hadu an la ilaha illal-lah (I testify that none has the right to be worshipped but Allah)”, Muawiya said, “And (so do) I”. When he said, “Ash-hadu anna Muhammadan Rasulullah” (I testify that Muhammad is Allah's Apostle), Muawiya said, “And (so do) I”. When the Adhân was finished, Muawiya said, “O people, when the Mu'adh-dhin pronounced the Adhân I heard Allah's Messenger (PBUH) on this very pulpit saying what you have just heard me saying”. First of all, we notice that, again, “Allahu Akbar” is recited twice and not four times as is usually the case today. The above hadith seems to be the most detailed that Bukhari reported regarding the adhân. It is quite striking that in the thousands of hadiths that he reported there is not, to my knowledge, one single adhân that seems to be complete; I personally do not know which call to prayer he happened to favor, and if it consistent with the most widely accepted adhân in Sunni Islam today. It is very surprising that the very exact adhân retained today in Sunni Islam is neither mentioned in al-Bukhari nor in Muslim hadiths, while they are the earliest and allegedly most reliable hadiths collectors. This hadith has the same issue as the one reported by Muslim, as it seems that “I testify that there is no other god but Allah” and “I testify that Muhammad is the messenger of Allah” are repeated four times each instead of two in Sunni Islam today. Honestly, it does not matter because it is not the correct Quranic call to prayer decreed in the Quran anyway. So let’s just assume that Sunnis are right and that the narrator simply resumes the recitation of the adhân after a pause; the adhân then becomes 100% identical to the one recited in the Sunni world today. The Shias have a substantially different call to prayer because Ali holds a prominent place in their belief system, and they add (among other details): “I testify that Ali is the vice regent (wali) of God” (twice) after having attested that Muhammad is the messenger of God. It is obvious that when hadiths “other than God and His verses” (45:6) were first put in writing two centuries after the death of the prophet, the canon of the Sunni adhân was not completely established yet and was still an ongoing process as we witness at least one difference among Sunnis hadiths (Is “Allahu Akbar” recited twice or four times?). This is if we choose to overlook the probably more substantial difference pointed out earlier. Up to this day, the Sunni Maliki school recites “Allahu akbar” only twice to start the adhân, while the other three prominent Sunni schools (shafi’i, hanbali and hanafi) recite it four times. The Shia adhân is substantially different, mostly, but not only, because it mentions Ali, and there are additional differences among various Quran sects which we will not mention for sake of brevity. I personally heard an imam (whom I will not name) in The US Claim that there is only one single, identical adhân in the entire Muslim world. This is clearly untrue, as there are minor to substantial differences among various sects as well as among hadiths. As we will prove later, the Muslim community at the time of the prophet did not need to wait two centuries to somewhat reach a consensus regarding the call to prayer, because it is mentioned word for word in the Quran, as we will see later, just like all details relating to the ritual prayer (see “Salât in the Quran”). Abu Huraira reported: The Apostle (PBUH) said: “When the call to prayer is made, Satan flies away and farts loudly so as not to hear the call being made, and when the call is finished, he turns around. When the Iqama is proclaimed, he turns his back, and when it is finished he turns around to distract a man, saying: “Remember such and such; remember such and such, referring to something the man did not have in his mind, with the result that he does not know how much he has prayed”. In Sunni and Shia Islam, the “iqâma” is a second call to prayer (usually shorter than the first one in Sunni Islam) performed right before the salât in mosques. There is no point mentioning more hadiths regarding the Iqama as the “authentic” (sahih) hadith quoted above illustrated quite well the validity of hadiths in general (see “hadiths, the cancer of Islam” for more pearls of wisdom of this type). The so called “iqâma” is never mentioned in the fully detailed Quran (7:52, 6:114, 10:37), which mentions only one call to prayer (3:193, 5:58, 62:9). The iqâma is therefore a pure invention and corruption of the prayer ritual revealed by God. (39:45) When God Alone (الله وحده = Allahu wahdahu) is mentioned, the hearts of those who do not believe in the hereafter are filled with disgust, but when others (names) are mentioned beside Him, they rejoice. These sentences prove that we simply never find in the Quran that we must “believe” or “bear witness” to the existence or Oneness of God followed by the actual name of a specific prophet or messenger, not even the name of the prophet Mohammed. (2:97) Whoever is an enemy of Allah, His angels, His messengers, and Gabriel, and Michael, then Allah is an enemy of the disbelievers. Above, the names of Gabriel and Michael are purposely relegated after the words “His angels and His messengers”, and this is the only place in the entire Quran where names are mentioned not next to, but in the vicinity of the word “Allah” in the same sentence. In this case it is in a non-verbal sentence. (37:35) Indeed, when they were told: “There is no god but Allah”, they turned arrogant. Sunnis attempt to disimulate their idolatry by claiming that stating that Muhammad is the messenger of God is mandatory because it amounts to believing in all past messengers and prophets, and equates to believing that Muhammad is the last prophet. The fact of the matter is: There is not one single verse in the entire Quran where we are commanded to “testify that Muhammad is the messenger of God” and I challenge anyone to prove me wrong. Allah commands us to testify that “there is no god but Allah” (3:18, 37:35, 47:19,). Period, end of story. (63:1) When the hypocrites come to you (Ô Prophet), they say, “We bear witness that you are the messenger of God!”. God knows that you are His messenger, and God bears witness that the hypocrites are liars! Allah never asks us to testify that Muhammad is the messenger of God, but to believe him (4:136). Enormous difference. He also asks us to believe in His angels, His books, His messengers and prophets, and in the last day (2:177). (2:136) Say: We believed in God, and what He revealed to us, and what He revealed to Abraham, Ishmael, Isaac, Jacob, and the descendants, and in what was given to Moses and Jesus, and what was given to the prophets from their Lord. We do not make any distinction between any of them, and we submit to Him. (2:285) The messenger believed in what we revealed to him from His Lord, and so did the believers. All believed in God, and His angels, and His books, and His messengers. We do not make any distinction between any of His messengers. They said: “We have heard, and we obey. Grant us forgiveness [Ô] our Lord, and to You is our [final] return”. See also 3:84 and 4:152. - Mentioning Muhammad in the call to prayer or the shahadah is not a passport to paradise. On the contrary, the Quran teaches us that no name should ever be mentioned beside Allah whenever it is a matter of faith in Him or bearing witness to His Oneness (39:45, 3:18, 37:35, and 47:19). The hearts of the disbelievers are “filled with disgust” when God alone is mentioned, but they rejoice when other names are mentioned beside God (39:45). As a proof, 37:35 proclaims that some people turn arrogant when they are commanded to recite the true Quranic shahadah: “There is no other god beside God” (لا اله الا الله = Lâ ilaha illâ Allah). There is not a single verse in the Quran where God asks us to testify that Muhammad is His messenger. On the contrary, Allah condemns in 63:1 the hypocrites who feel compelled “to bear witness that Muhammad is the messenger of God”. God commands us to BELIEVE that Muhammad is His messenger (3:179, 4:136, 7:158, ...), never to testify to it. - Mentioning Muhammad in the call to prayer or the shahadah is making Muhammad overly prominent in comparison to other messengers and prophets, which the Quran condemns as it forbids us to make any distinction between messengers (2:136, 2:285, 3:84 and 4:152). As pointed out in the introduction, understanding this grammatical point will allow us, God willing, to identify the call to prayer decreed by Allah in the Quran. The Arabic verb has two participles: One active participle (اسم الفاعل = ismoul fâ'ïl) and one passive participle (اسم المفعول = ismoul maf'oul); the pronunciation and spelling of any given participle can easily be derived in a predictable way from one of the 10 trilateral verb forms in Arabic. The participles are used in the syntax in several ways: As nouns, adjectives, and sometimes verbs. The active participle can be masculine, feminine, singular, dual, plural, definite, and indefinite; it can be used as a subject case, direct or indirect case. In general, the active participle designates the one who performs the action described by the verb from which it is derived, whereas the passive participle designates the object of the action described by a transitive verb, meaning that it does not have an active role in the action. For example, the active participle of the verb “kataba” (كتب = to write) in the Quran is “kâtib” (كاتب = scribe, writer); in 2:282-283, it is the “scribe” who puts in writing a debt (he performs the action of writing). The passive participle of the verb “kataba” is “maktoub” (مكتوب = written); in 7:157, Muhammad is the messenger found to be “written” or “written down” in the Torah and the Gospel, in other words, His name or coming was foretold in the Torah and the Gospel (Muhammad clearly has a passive role in the action as he was simply “written down” in the torah and Gospel). Reminder: Because of what will follow later in the article, people who do not know the basics of Arabic need to understand that whenever a verb is in a given form (I, II, III, IV, V etc ...), its active participle is always in the same form (1 to 10) and never a different form, and it can obviously never be from a different root. You will understand why I insist on this particular point later. Arsala (أَرْسَلَ = to send = form IV), Mursaloun (مُرْسَلُون = those who are sent, active participle = form IV). (5:58) When you make the call to prayer (salât), they make it an object of derision and mockery; this because they are people devoid of understanding. (62:9) O you who believe, when the call to prayer (salât) is made on the day of gathering (Friday), then hurry to the remembrance of God, and cease all [worldly] commerce. It's better for you, if (only) you knew. The verb “نادي” (n âdâ, form III) in the two above verses means “to call in a loud voice”. The root “ندا” (nadâ) also contains the meaning of “to gather”, which indicates that the ritual prayer, for Friday prayers as well as for any other prayer of the week, is a ritual that is preferably performed in a group and intended to unite before God the local community of believers. The above two verses make it clear that the call to prayer is a ritual and divine commandment that was implemented at the time of the prophet. The simple fact that the Quran proclaims that it is fully detailed (7:52, 17:46, 10:37) implies by definition that the call to prayer is directly mentioned in the Quran. (3:193) Our Lord, verily we have heard a caller calling to faith, “Have faith in your Lord!”; So we have believed; Our Lord!, so remit our sins and expunge our evil deeds and cause us to die among the righteous. (19:3) When he (Zachariah) secretly implored his Lord. (28:65) And the day He will call them and say, “What did you reply to the messengers?”. (28:74) And the day He will call them and say, “Where are my associates that you ascribe to me?”. (37:75) And Noah implored Us and [We are] the best to respond. (37:104) And We called him; “O Abraham!”. (38:3) ... and they implored when there was no time to escape. (41:44) ... these are the ones who will be called from a distant place. (49:4) Verily, those who call you [O Prophet] behind [your] private quarters, most of them do not reason. (50:41) And listen! The day when the caller (i.e., the angel who will call on the Day of Judgment) will call from a nearby location. (54:29) They then called their companion: He then stretched out [his arms with a sword] and hamstrung [the sacred camel]. (62:9) O you who believe, when the prayer (salât) is being called for on the day of the gathering (Friday), hurry then to God’s remembrance, and cease all [worldly] commerce. It is better for you, if (only) you knew. (68:48) So be patient regarding your Lord's decision and do not be like the companion of the fish (Jonah) when he implored while he was in distress. (79:16) When his Lord called him (Moses) in the sacred valley of Touwa. I separated in the above table verses where God “calls” because we do not know if it is an audible voice for a common human being or if the Most High speaks or reveals some information directly to the soul of His servants; God knows best. The verb “nâdâ” mainly signifies “to call in a loud and/or audible voice” (54.5%), as is (1) the case for the call to prayer (3:193, 5:58, 62:9), (2) when the angel will call on the day of judgment (50:41), (3) when the companions of paradise call the companions of hell over a wall of separation (7:44, 7:50), when the companions of al-'Araf call the companions of paradise and hell from the top of the wall of separation (7:46, 7:48), when the companions of hell call the companions of paradise from behind the wall (7:50, 57:14), (4) when Noah calls his son from the ark as he stands in the distance (11:42), (5) when the angels call Moses from the right flank of the mountain (19:52, 28:30, 28:46), (6) when the angels call the companions of paradise on the Day of Judgment (7:43), (7) when those who disbelieve will be called from a distant place on the Day of Judgment (41:44), when the angels call Abraham who is ready to sacrifice his son (37:104), (8) when Pharaoh calls his people in a loud voice for them to hear (43:51), and (9) when ignorant and disrespectful people call the holy prophet behind his private quarters (49:4). These are nine different cases (and nearly twenty verses) where the verb “nâdâ” clearly means “to call in a loud voice”, taking into account the exact context of the verses. 1. To call (32 times): The verb “nâdâ” overwhelmingly means “to call in a very loud voice”, “to call from a distance”, “to hail”. On rare occasions, it simply means “to call in a normal tone of voice” , meaning without raising the voice loudly, namely when Jesus “calls” his mother at birth when he is just below her (19:24), and probably also when the angels call Zacharias when he is standing in the mihrab (prayer chamber) performing the ritual prayer (3:39). 8 times out of 32, it is God who “calls” and we do not know if it is an audible or spiritual voice. He “calls” Adam and Eve in the Garden of Eden in 7:22, and in the remaining seven cases He “calls” Moses. Note: Moses is one of the very few messengers to whom Allah spoke to or communicated with directly on earth (without the intermediary of an angel, or Gabriel and Michael, or signs) (2:253, 4:164, 7:143-144, 20:11-24, 20:83-84, 26:10-16, 27:8-11, 28:30-35, 79:16-19). Moses, however, never saw Him (7:143-144), unlike Muhammad who saw Allah (!!!) spiritually during the heavenly ascension (al isrâ), as evidenced in 53:15, 81:23. It was a spiritual, non-physical ascension to heaven during which God revealed to him future events (48:27). He, like Moses, communicated (spiritually) directly with God on that occasion. 2. To implore (12 times): The verb “nâdâ” also means “to implore” or “to implore by the means of prayer”, the prayer being always addressed to God, except in 18:52, which indicates the moment when God will expose the idol worshipers and those who associate deities beside God on the Day of Judgment by challenging them to “implore” them to see if they can save them from the hellfire. We have already quoted in the previous section two of the three verses related to the call to prayer (5:58, 62:9) and we are going to study the third one (3:193) in detail, as well as its context. Before we do that, we first need to compare in the Quran the verb “nâdâ”, used for the call to prayer in 5:58 and 62:9, with the verb “azdhana” and its derivatives. In fact, we are going to witness that the words “adhân” (the Sunni or Shia call to prayer) and “muazdhin” (the person who performs it) are incorrectly used from a Quranic Arabic perspective by Sunnis and Shias pertaining to the call to prayer. The words “adhân” (أَذَان), the verb “azdhana” (أَذَّنَ, form II), and its active participle “muazdhin” (مُؤَذِّنٌ = “muezzin” in Sunni and Shia Arabic) all are Quranic words. The active participle “mouazdhin” (مُؤَذِّنٌ = announcer, form II) is logically derived from the verb “azdhana” (أَذَّنَ, form II) which means “to announce” or “to proclaim”. The word adhân (أَذَان) signifies “announcement”, “proclamation” in the Quran and is derived from the verb “adhina” (أَذِنَ, form 1) which means “to lend an ear”, “to hear”, “to listen”, “to grant permission”, “to permit”, “to allow”, “to perceive”, “to respond”. As everyone knows, the word “adhân” currently refers to the “call to prayer” in the Muslim world, and the person who performs the “adhân” is called the “muazdhin” (مُؤَذِّن = muezzin). Unfortunately, the fact that Sunnis and Shias almost always give preference to “hadiths other than God and His verses” (45:6) instead of the divine message and laws of the Quran had the direct consequence that the often corrupt Arabic language found in hadiths often overshadowed in the exact same fashion the pure Arabic language found in the Quran. This is one of the concrete manifestations of the straying of Islam which, on the Day of Judgment, will lead the Prophet Muhammad to proclaim that his people (the Arabs and the Muslim world at large) have “abandoned the Quran” (25:30). This verse is a true blessing because it puts directly in the same verse the verb “Nâdâ” (نادي = to call, form III) - which is the verb used for the call to prayer in 5:58 and 62:9 - and the verb “azdhana” (أَذَّنَ, form II = to announce, to proclaim), as well as its active participle “muazdhin” (مُؤَذِّن, form II = announcer)! Let us first draw attention to the fact that the verb “nâdâ” (to call, form III) in 7:44 signifies, and without any possible doubt, “to call in a very loud voice” or “to hail” because verses 57:13-14 indicate that the companions of paradise “call” the companions of the fire over the great wall erected between Paradise and hell. 7:44 is therefore ideal to demonstrate that when it comes to “calling” from afar or over an imposing obstacle, that is to say “calling in a very loud voice”, the same verb “nâdâ” (form III) as for the call to prayer in 5:58 and 62:9 is used. On the other hand, 7:44 reveals that an “announcer” or “muezzin” (مُؤَذِّن = “mouazdhin”, form II, active participle of “azdhana” form II) among the companions of hell is responsible for “announcing” or “proclaiming” (أَذَّنَ = “azdhana” = to announce, to proclaim, form II) around him (and obviously not “calling”) the terrible news regarding the fate of the companions of hell. In other words, the verse makes a clear distinction between “calling in a loud voice” over the great wall (root “ندى” = nadâ), and the fact that an “announcer proclaims or announces” (active particle “mouazdhin”, form II, and its verb and “azdhana” form II) terrible news. The two words are obviously from two completely different roots. 7:44 constitutes a divine proof that using the verb “azdhana” (أَذَّنَ, form II = to announce, to proclaim) and its active participle “mouazdhin” (مُؤَذِّن, form II = announcer) are inadequate and inappropriate from a Quranic point of view when it comes to “call in a loud voice” (as is the case, for example, in the call to prayer) because the emphasis is about “announcing” or “proclaiming” some information and often something new, and the tone of voice is irrelevant. This will be further confirmed in the coming paragraphs by the other Quranic uses of the verb “azdhana” in verses 12:70 and 22:27. I heard Muawiya bin Abi Sufyan (repeating the statements of the Adhân) while he was sitting on the pulpit. When the Mu'adh-dhin pronounced the Adhân saying, “Allahu-Akbar, Allahu Akbar”, Muawiya said: “Allah Akbar, Allahu Akbar.” And when the Mu'adh-dhin said, “Ash-hadu an la ilaha illal-lah (I testify that none has the right to be worshipped but Allah)”, Muawiya said, “And (so do) I”. When he said, “Ash-hadu anna Muhammadan Rasulullah” (I testify that Muhammad is Allah's Apostle), Muawiya said, “And (so do) I”. When the Adhân was finished, Muawiya said, “O people, when the Mu'adh-dhin pronounced the Adhân I heard Allah's Messenger (PBUH) on this very pulpit saying what you have just heard me saying”. Sunnis and Shias routinely use the verb “azdhana” (form II), the active participle “mouazdhin” (form II), and the word “adhân” to refer to the call to prayer because they give preference to “hadiths other than God and His verses” (45:6) over the Quran. But when you study the Quran closely, you realize that using such words pertaining to the call to prayer contradicts the way Allah uses the Arabic language. The meaning of the verbs “nâdâ” (to call) and “azdhana” (to announce) may seem relatively close for a person who is not rigorous. Regardless, it is more than obvious that all hadiths that mention the words “adhân” and “mouazdhin” (just to cite one example) bear witness to the absolute incapacity of people who collected them to grasp the subtle distinction between the two verbs, as highlighted in verse 7:44. Such hadiths literally betray themselves regarding their authenticity. The Quranic language is of mathematical precision: It is divinely accurate because it is revealed by the Almighty, Most Wise, unlike the language of ignorant people who betrayed the Quran by collecting or inventing out of thin air hadiths other than God and His verses (45:6) and disgracefully attributed them to the prophet two centuries after his death. Moreover, Bukhari and Muslim, the first hadith collectors, were born in Uzbekistan and Iran respectively. Persian was therefore their native language, Arabic being only their second language. They did not master the extreme precision and distinctions of Quranic Arabic when they wrote their lies. Their hadiths are crippled with similar errors. Unfortunately, the Arab world has blindly embraced hadiths and the cancer has become widespread. It has affected the way the Quran should be understood, infected Muslim laws and rituals and has conjointly affected the purity of the Arabic language in the entire world. (12:70) Then when he (Joseph) had given them their supplies, he put the cup in his brother's bag (i.e. Benjamin); Later, an announcer announced: “O you in the caravan! In truth, you are really thieves!”. In this verse, a “mouazdhin” (announcer) among the men sent by Joseph makes an announcement when they reach the caravan. He is responsible for “announcing” that the people of the caravan are thieves. It is perfectly normal that the verb “'nâdâ” (form III) is not used instead in the verse because, as we saw earlier, it is generally used to call people from afar and in a loud tone of voice in the Quran, as is the case in the call to prayer, the call made on the Day of Judgment (50:41), or when Pharaoh hails the large crowd in front of him (43:51). The fact that a muazdhin makes an announcement emphasizes that a proclamation (and most of the time new information) is being delivered and the tone of voice is not the primary focus, just like the muazdhin in 7:44. Furthermore, the “muazdhin” (announcer) has already reached the caravan formed by Joseph's nine brothers (Jacob had 10 sons from whom we have to subtract Joseph) and they are right in front of him, so there is no need for him to scream at the top of his lungs. (9:3) And [this is] a proclamation from God and His messenger to the people on the day of the greatest pilgrimage, that God is free from all commitment towards unbelievers, as well as His messenger. So, if you repent, it will be better for you; but if you turn away, then know that you cannot escape from God; and warn those who disbelieve of a painful retribution. The word “adhân” (أَذَان) in this verse signifies a “proclamation”, an “announcement” or “edict” from God and His messenger to the attention of all the people of Arabia, whether present or not at the time the verse was revealed, and which is addressed to both Muslims and unbelievers: This is a solemn announcement that marks the end of the truce previously made with the unbelievers and which indicates that the hostilities will resume by the end of the four sacred months of hajj (9:2, 9:5, 9:36, 2:197). In other words, a four month grace period starts from the revelation of the verse and the sura (see the article “the four sacred months of hajj” for more detail). Again, we are not dealing here with a “call” made in a loud voice like in the call to prayer, otherwise it is the verb “nâdâ” (5:58, 62:9) or its active participle that would have been used; it is simply a proclamation that the truce that had been formalized prior to the revelation of Sura 9 is over. Here again, the emphasis is placed on “proclaiming” and “announcing” new information and we are not dealing with an announcement made “in a loud voice” in front of a crowd. On the contrary it is a “proclamation” to the entire people of Arabia, regardless of whether witnesses were present or not at the time the verse was revealed. We can therefore conclude that the word “adhân” (أَذَان = proclamation), which meaning in the Quran is absolutely limpid thanks to the clear context of sura 9, is completely inappropriate when it comes to refer to the call to prayer: The ritual prayer (salât) is meant to be “called for in a loud voice” so it can be heard by the general population in a particular area, as demonstrated by the use of the verb “nâdâ” (form III) in 5:58, 62:9, and not “proclaimed” or “announced” which implies the release or revelation of new information as evidenced in 9:3. (22:27) And proclaim [O Prophet] the pilgrimage to the human race! They will come to you on foot or [riding] camels; they will come from every distant path. The verb “azdhana” (form II) is here used in the imperative form and God commands the prophet to “proclaim” to the human race the pilgrimage to the sacred mosque of Mecca. The announcement is valid in the present and the future (“... they will come from every distant path”); God commands Muhammad to “proclaim” the hajj to the entire human race, and there is no need here to “call” in a loud voice like in the call to prayer because people behind the mountains, in Arabia, and elsewhere in the world would never hear. Once again, the use of the verb “azdhana” (“to announce”, form II) substantially differs from that of the verb “nâdâ” (“to call”), used in the Quran to “call”, most of the time in a loud voice, or “implore by the means of prayer”. The four verses which we studied (7:44, 9:3, 12:70, 22:27) are the only verses in the Quran that use the verb “azdhana” (to proclaim, announce, form II), its active participle “muazdhin” (announcer, form II) or the word “adhân” (proclamation, announcement, edict). The word “adhân” in 9:3 does not designate a call in a loud voice as is the case with the call to prayer; on the contrary, it is simply a “proclamation” or an “edict” that was intended to all the people of Arabia, whether present or not at the moment the verse was revealed. Even when used together in the same verse (7:44), the verb “nâdâ” means “to call in a loud voice” while “azdhana” means “to proclaim”, and the “Muazdhin” is the person responsible for making the proclamation. The verb “azdhana” or its active participle “muazdhin” simply never refer to the call to prayer or the person who performs it in a loud voice as witnessed in 5:58 and 62:9, and in which case the Quran consistently uses the verb “nâdâ” (to call). We can therefore conclude that the word “adhân” (أَذَان, proclamation), the verb “azdhana” (أَذَّن, to proclaim, to announce, form II) and its active participle “muazdhin” (مُؤَذِّنٌ, announcer, form II) are totally inappropriate to refer to the call to prayer when you take into consideration their Quranic definition. The way those words have been used throughout the Muslim world for about 12 centuries constitutes a corruption because God has revealed through His Quran a perfect Arabic language which He Himself calls “perfectly clear” (مبين = mubîn, 16:103). In the Quran, it is always the verb “nâdâ” (نادي = to call) and its active participle (مُنَادِيٌ = munâdiyun) that are used in relation to the call to prayer, and never any other verbal root. We quoted verses 5:58 and 62:9 in part 3, which are the two obvious verses that refer to the practice of the call to prayer. We noticed, being mindful of the fact that Sunnis and Shias consistently give preference to the corrupted language of hadiths over the perfect language of the Quran, that it is the verb “nâdâ” (نادي = “to call”, form III) which is consistently used and never the verb “azdhana” or its derived forms. We studied the concept of active participles in Arabic in part 2 and witnessed that every time one wants to designate the person who performs the action described by a particular verb, one must form the active participle directly from that verb and never a different one. Example: صَلَّىٰ = salla = to perform the salât, form II ð الْمُصَلُّونَ = al Mousallûna (active participle of salla) = those who perform the salât, form II. (50:41) And listen! The day the caller (al munâdi) calls from a nearby place. (50:42) The day they will hear in all truth the [fateful] sound. That is the day they will come out [from the state of death]. (50:43) Indeed, we initiate life, and cause death, and to Us is the final return. Above, “the munâdi” in question (الْمُنَادِ = the caller, form III = active participle of the verb “nâdâ”, form III) is the angel in charge of revealing the Day of Judgment by blowing the horn twice (39:68). The first time it is blown, everything in the heavens and the earth will faint out of terror; the second time it is blown, the dead will rise and everyone will be standing (39:68). This is an immense and terrifying noise, which is why the active participle “al munâdi” (the caller, form III) and the verb from which it is formed (“nâdâ”, to call in a loud voice, form III) are used in 50:41. (3:193) Our Lord, verily we have heard a caller calling to faith: “Have faith in your Lord!”; So we have believed; Our Lord (! ), so remit our sins and expunge our evil deeds and cause us to die among the righteous. Before commenting the verse, it is crucial to understand that according to the Quran, a person is simply not part of the Muslim faith unless he is she performs consistently and on time the ritual prayer and fulfills the obligation of zakât (9:5, 9:11, 9:18, 5:12, 19:31, 20:14). These two core pillars symbolize the essence of Islam which is to “believe in God and do good deeds” (2:25, 2:82, 2:277, 3:57, 4:57, 4:122, ..., 103:3), and guarantees to go to paradise (22:14, 22:23). Conversely, not performing the ritual prayer (which is equivalent not to believe in God for a Muslim) nor feeding the poor (equivalent to not fulfilling the obligation of zakât, or not give in charity in general) are common traits of those who end up in hell (74:43-44). The expression “those who believe and do good deeds” (“الذين ءامنوا وعملواالصلحت” = alladhinna amanu wa 'amiloû ssalihati) appears exactly fifty (50) times in the Quran, which reflects its crucial importance and sums up in four words the essence and core message of Islam. (2:277) Indeed, those who believe and do good deeds, perform the salât, and fulfill the obligation of zakât, shall receive their reward from their Lord; no fear shall weigh upon them, nor will they grieve. The salât thus symbolizes faith in God (الايمن = al-imân), and zakât symbolizes good deeds (الصلحت = assalihat). Verse 3:193 mentions people who embraced Islam by obeying the “caller” (مُنَادِيًا, form III = mounâdiyan = active participle of “nâdâ” = appeller, form III) who “called to faith” the population in his vicinity. We just saw that “salât” (the ritual prayer) symbolizes “faith” in the Quran, and “calling to faith” is here synonymous with “calling [people] to the ritual prayer”. In other words, and in the context of the verse, a “caller” called people - believers and non-believers alike - to perform the salât, and he called in a very loud voice in the city “Have faith in your Lord!”(آمِنُوا بِرَبِّكُمْ = Âminû bi rabbikoum!). Calling people to perform the salât is a call to faith to the entire human race, not just believers. Verses 5:58 and 62:9 mention the act of “calling to the ritual prayer”, which describes exactly what it is, but it is quite incredible to see that 3:193 actually goes one degree further and directly to the point by “calling people to faith”, without even having to mention the word “salât”, simply because “salât” symbolizes “faith” in the Quran as we just saw in verse 2:277! One can “call to the salât” and some people can perform it mechanically without their souls being really in tune with God, whereas when you “call to faith”, only those who perform the salât with faith, that is to say from the bottom of their hearts, will have truly answered the divine call decreed in 3:193. Remark: I translated the above call to prayer (آمِنُوا بِرَبِّكُمْ = Âminû bi rabbikum!) by “Have faith in your Lord!” although it can also be translated as “Believe in your Lord!” since the verb “to believe” (امن = âmana, form IV) is the verb used in the expression. I found it more judicious to translate it this way because the verbal name “faith” (الايمن = al îmâne, form IV) is used right before “Âminoû bi rabbikoum!” in the verse (we have heard a caller calling to faith) and is directly derived from the verb “to believe” (امن = âmana, form IV), which means no other than “to have faith”. 3:193 is therefore where we find the true Quranic call to prayer decreed by Allah in the Quran. The Muslim world has tragically lost it for well over a thousand years because it has been obliterated from the Muslim society by Hadith worshipers who replaced it with an “adhân” (we saw previously that this term means “proclamation” in the Quran, not “call to prayer”) derived from “hadiths other than God and His verses” (45:6). The Quranic call to prayer is pure, and very simple. Unlike the Sunni and Shia “adhân” which we proved is improperly named, it mentions exclusively the name of God (“Âminû bi rabbikum !” = “Have faith in your Lord!”); it does not mention the name of the prophet Muhammad beside God, in compliance with the teachings of the Holy Quran (39:45, 3:18, 37:35, 47:19), and it respects the fact that we shall not make any distinction between any prophet or messenger (2:136, 2:177, 3:84, 4:152). (3:193) Our Lord, verily we have heard a caller calling to faith, “Have faith in your Lord!”; So we have believed; Our Lord!, so remit our sins and expunge our evil deeds and cause us to die [while] among the righteous. - lying down on their sides = near the advent of dawn. (4:101) And when you travel through the land, there is no blame upon you if you shorten the ritual prayer if you fear that those who disbelieved may harm you. Indeed, the disbelievers are for you a manifest enemy. (4:102) When you (O Muhammad) are among them, and lead the ritual prayer for them, Let one party of them stand with you, armed with their weapons: then, once they prostrated, let them withdraw to the rear, and let another party which has not yet prayed move forward, and let them pray with you, being on their guards with their weapons: the unbelievers wish that you neglect your weapons and your baggage, to crack down on you in a single rush. But there is no blame on you if you lay down your weapons because of the inconvenience of the rain or because you are ill; but take your precautions. In truth, God has prepared a humiliating punishment for the unbelievers. (4:103) And when you have completed the ritual prayer, then remember God standing, sitting, or [lying down] on your sides. But, when you are safe, then perform the ritual prayer (normally, 'ie two rakaʿât, as prescribed in 15:87, and not just one like in case of danger as implied in the 4:101-102), indeed, the ritual prayer has been decreed upon the believers at specific times. As said in the beginning of this section, the phrase “remember God standing, sitting, or [lying down] on your sides” in 4:103 is almost identical to the one in 3:191 because it uses the same verb “to remember” (ذكر = “dhakara”, form I), and the same three positions in the same order (standing, sitting, or [lying down] on one’s sides). It is indisputable that verse 4:103 deals with the observance of the ritual prayer in times of danger, in which case it is permissible to either shorten it praying only one rak’a instead of two (see 4:101-102 and the article “salât in the Quran”) or do it while “standing, sitting or lying down on your sides” (see also verse 2:239 which allows us to pray while driving or walking if we feel unsafe). The rest of the verse tells us that, when we are safe, we shall pray normally, that is to say by observing the Quranic ritual of two raka'ât decreed in 15:87, and that we must consistently pray at specific times (otherwise the prayer is not valid). - They indicate on the one hand that one can pray in any position in a situation of danger because the verse describes the three most common positions in which a human being can be: Standing, sitting, lying down on his sides. There is never any valid excuse for not praying on time in Islam because the Quran shows that believers must pray even if they are on a battlefield (4:102-103), and can perform the salât in their minds while they are driving or walking if they experience fear (2:239). 1. - During the day believers are symbolically “standing” (just like the sun is “up” in the sky) because they usually work or are busy, and they must “remember God” when they hear the call to prayer when the sun reaches its highest point in the sky (al salât al woustâ = the middle prayer) and when the sun reaches the mid-afternoon (mid-afternoon prayer). 2. - As sunset approaches, the average human being will typically have finished working and will be “sitting” at home and must “remember God” when he hears the call to prayer at sunset (nightfall prayer). Similarly, we can also say that the sun is symbolically “sitting” when the sun is setting at the horizon (dulûk al shams). 3. - During the night, believers are lying down “on their sides” (جُنُوبِكُم = junûbikum = “on your sides” in 4:103) because they are usually asleep until the crack of dawn, and believers must then “remember God” and wake up when they hear the call to prayer at the advent of dawn. Similarly, the sun is symbolically “lying down” during the darkness of the night. The word “junûb” (جنوب = sides, or flanks) is plural (which implies by definition three or more entities in Arabic), in addition to being associated with the possessive pronoun “your” (جنوبكم = your sides) in 4:103 and “their” (جنوبهم = their flanks) in 3:193. This refers to the fact that, by His grace, God has created us so that we instinctively alternate the side on which we sleep, being sometimes on the left or right side, our back, or front side (4 possible sides), because we would otherwise be in an uncomfortable position and would risk having long-term physical problems by always sleeping in the same position for extended periods of time. The words “junûbikum” (جُنُوبِكُم = your sides, 4:103) and “junûbihim” (جُنُوبِهِم = their sides, 3:193) indicate that people are usually asleep when it is time to “remember God” at the approach of the prayer of fajr (dawn), and that they are not simply lying down and awake. The Quran is divinely precise and, by comparison, we see in verse 10:12 that the human being invokes (دَعَا = da’â = to invoke, form I) God “lying down on his side (لِجَنْبِهِ = lijanbihi = on his side: The word is singular here and not plural like in 3:191 and 4:103), sitting or standing” (three same positions as in verses 3:191 and 4:103 but in a different order, and with a different verb). In other words, we see in 10:12 that one has to be awake (not asleep) to be able to “invoke” God and will therefore be lying down on a particular side of his body while invoking God (“on his side”), which is why the singular word “janb” (جَنْب = side) is used in the verse. In verse 18:18, God indicates that the seven companions who fell asleep for 300 solar years (equivalent to 309 lunar years according to 18:25) were sometimes lying down on the right side, sometimes on the left side (وَنُقَلِّبُهُمْ ذَاتَ الْيَمِينِ وَذَاتَ الشِّمَالِ = and We turned them on the left and on the right) thanks to angelic forces. This allowed to lighten and balance the pressure exerted on their bodies, as well as to maintain a minimum of physical activity, because they would otherwise have died, or their bodies would have been crippled after 300 years of sleep and they would have been absolutely unable to get up or even move after waking up. (32:15) Only believe in our verses those who, when they are reminded of them, fall down prostrating; and they glorify their Lord by means of praises, and they are not arrogant. (32:16) Their sides [readily] arise from their beds (when comes time for prayer); they invoke their Lord with fear and hope, and from what We provide to them they spend [in charity]. We see that the believers’ “flanks/sides [readily] arise from their beds” (جُنُوبُهُمْ = junûbuhum = their sides, same plural word as in 3:191 and 4:103), because, in the context of the verse, they wake up and readily get up to perform the mandatory ritual prayer. We then read that “they invoke their Lord with fear and hope, and from what We provide to them, they give [in charity]”, which primarily reflects the fact that they “perform the ritual prayer and fulfill the obligation of zakât”. The expression “to invoke (دَعَا = da’â = to invoke, form I) their Lord” includes here both the practice of salât and the act of invoking God in general (by making a du'â = “invocation”), and “giving in charity” includes both the zakât (obligatory charity) and sadaqat (charity in general, whether zakât or additional charity). This reflects the essence of Islam and the Quran, which is to “believe in God and do good deeds”, and which is absolutely omnipresent in the Quran in many ways. Just before 32:16, we see that God’s verses “are reminded” (in the passive form) to the believers (verb Dhoukkira = ذُكِّرَ, form II = to remind, close to the verb “to remember” = dhakara, form I, used in the active form in 3:191 and 4:103). In other words, the book of God and His commandments “are reminded” to the believers, which is why they “fall down prostrating” (32:15), especially during the salât, during which the Holy Quran is recited. The verb “to remind” in the passive form suggests here among other things the practice of the call to prayer, which goal is to “remind” the human race that it is time to worship God: Someone reminds them of the verses of God, that is to say “God’s commandments”, most notably, the caller making the call to prayer, before they “fall down prostrating” (32:15) during the salât. All these precisions are absolutely necessary to demonstrate that the Quran functions in such a way that verses are interconnected and shed light on each other, most notably through the use of similar or identical expressions, like in the phrase “Those who remember Allah standing, sitting and lying down on their sides” in 3:191: It alludes to believers who must remember God when it is time for the four obligatory daily prayers (out of 5 daily prayers, the night prayer is optional, see 17:79), as is the case in 4:103 and 32:16. This clarifies why the call to prayer is mentioned as a logical continuation in 3:193, shortly after 3:191 which we saw is closely linked to the practice of the ritual prayer thanks to the three positions (standing, sitting and lying down on the sides) that symbolize the four mandatory daily ritual prayers. All three verses 3:191, 4:103 and 32:16 which mention that believers are “lying down on their sides” or that “their sides [readily] arise from their beds” (where the word “sides” is plural) are all preceded by the expression “to remember God” (ذكر = dhakara, form 1, in the active voice) or by “to be reminded of His verses” (ذُكِّرَ = Dhoukkira = form II, in the passive voice). They all imply that believers are asleep during the night shortly before dawn when it is time to get up to to perform the prayer. (87:15) And remembers the name of his Lord, and performs the ritual prayer. In other words, first, believers remember their Lord when comes the time for prayer, a practice greatly facilitated by the institution of the call to prayer in Muslim societies, then they perform the salât. We also notice the expression “who remembers his Lord” in 87:15, which intentionally mirrors the word “Lord” in the Quranic call to prayer: “Have faith in your Lord!” (3:193). (2:239) and if you are afraid, then [pray] on foot or while riding; and when you are safe, then remember God (i.e. when it is time for salât = call to prayer, followed by the salât) as He taught you what you never knew. (3:41) He (Zechariah) said, “My Lord! show me a sign”. He replied, “Your sign is that you will not be able to speak to people for three days, except in the form of gestures. And remember your Lord frequently (most notably when it is time for the mandatory ritual prayers) and glorify [Him] evening and morning”. (4:142) Indeed, hypocrites [seek to] deceive God, but He [is the one who] deceives them. And when they stand up for prayer, they stand up lazily, and boast in front of people; and they do not remember God except rarely (i.e. when it is time for salât = call to prayer, normally directly followed by the salât). (24:36) In the houses that God ordered to be raised and in which His name is to be remembered. Glorify Him (i.e. when it is time for salât = call to prayer, followed by the salât) in their midst in the morning and in the evening. (33:21) Surely, there is for you in the messenger of God a good example for whoever hopes in God and the last day, and remembers God frequently (most notably when it is time for salât = call to prayer, followed by the salât). (33:41) O you who believe, remember God with much remembrance (most notably when it is time for salât = call to prayer, followed by the salât). (62:9) O you who believe, when the call to prayer (salât) is made on the day of gathering (Friday), then hurry to the remembrance (dhikr) of God, and cease all [worldly] commerce. It's better for you, if (only) you knew. (62:10) And when the prayer is over, then scatter throughout the land and seek God’s bounty, and remember God frequently (most notably when it is time for salât = call to prayer, followed by the salât) that you may succeed. (the call to prayer for the Friday prayer is mentioned in 62:9). In other words, in the above verses, “remembering God” implies both hearing the call to prayer in a Muslim society and perform the salât without delay. (3:191) Those who remember Allah standing (symbolically “al salât al woustâ” and the mid-afternoon prayer when the sun is “up”), sitting (symbolically at the approach of “the nightfall prayer”; the sun is also symbolically “sitting” at the horizon) and lying down on their sides (symbolically at the approach of dawn, when they are asleep on their sides, and must wake up/remember God to perform the dawn prayer, as clarified in 4:103 and 32:16; the sun is symbolically also “lying down” at that time); and they meditate about the creation of the heavens and the earth: “Our Lord, You have not created [all] this in vain; glory be to You! So spare us from the retribution of the fire.”(3:192) “Our Lord, indeed, You have certainly disgraced whoever you admit in the fire, and the wrongdoers will find no protectors.” (3:193) Our Lord, verily we have heard a caller calling to faith, “Have faith in your Lord!”; So we have believed; Our Lord!, so remit our sins and expunge our evil deeds and cause us to die [while] among the righteous. - At the advent of middle and mid-afternoon prayer = he is usually standing or “up”. - At the advent of the dawn prayer = believers are asleep [lying down] on their sides. The same verb “dhakara” (ذكر = “to remember”, form 1) and the three same positions “standing, sitting and lying down on your sides” (in the same order) are found in verse 4:103, which deals with the practice of ritual prayer in a situation of danger as well as when safety is restored. It is by no means a coincidence that it is the only verse in the Quran which indicates that “indeed, the ritual prayer is prescribed to believers at specific times”. The reason is simple: The three positions “standing, sitting and lying down on the sides” indicate not only that one can perform the four mandatory ritual prayers in these three different positions in a situation of danger (praying mentally), but also logically symbolize the four moments of the day when comes the time to “remember” the four obligatory daily prayers (at noon, mid-afternoon, nightfall, and at the advent of dawn). - (3:193) Our Lord, verily we have heard a caller calling to faith, “Have faith in your Lord!”; So we have believed; Our Lord!, so remit our sins and expunge our evil deeds and cause us to die among the righteous. It is more than obvious that these three verses depict the same believers imploring and praying to God in an uninterrupted sequence. The repeated use of “our Lord!” (four times in three verses) demonstrates that these three verses are interconnected and part of a logical progression. After inviting believers to “remember God”, in all possible situations and at four moments of the day (standing, sitting and lying on their sides) which relates to the mandatory ritual prayer four times a day (4:103, 32:16) and meditating on the creation of God to increase their faith and avoid the hellfire (3:191-192), 3:193 concretely describes how God facilitates the fact that the human race is invited to believe as well as to “remember God” (to use the same verb as in 3:191) thanks to the “call to faith” that God has inspired and institutionalized in the Muslim society, that is to say, thanks to the “call to prayer” recited in the city by the “caller”. We understand very clearly now that 3:191 directly relates to the call to prayer in 3:193, and involves the very same people who repeatedly say “our Lord!”. We see that this “call to faith” is what initially compelled the people who speak in the three verses (3:191-192-193) to embrace Islam, namely by responding to the call by performing the ritual prayer (salât) with the believers. In the Quran, one does not become a Muslim by reciting a shahadah (I challenge anyone to show me a single verse in the Quran to this effect), but by performing the ritual prayer for the first time, and then doing it systematically on time for the rest of his or her life, as well as by fulfilling the obligation of zakât. These two rituals are the foundation of the Muslim society and symbolize faith in God and doing good deeds, as studied earlier. Performing the salât without doing good deeds is hypocrisy, and doing good deeds without having faith in God only yields blessings in this worldly life. As stated earlier, the verb “nâdâ” (نادي = to call, form III), used in 5:58 and 62:9 for the call to prayer, is the same verb used in 3:193 just after the word “caller” (مُنَادِيًا = mounâdiyan, form III, active participle of “nâdâ”) in the sentence: “Our Lord, indeed we have heard a caller call to faith”: “Have faith in your Lord!”. To conclude this section, how do believers “remember God standing, sitting and lying down on their sides” (3:191)? The easiest way in a pure Muslim society is usually when the “caller” performs the call to prayer in the city, by calling in a loud voice “Have faith in your Lord!” (آمِنُوا بِرَبِّكُمْ). (5:58) And when you make the call to prayer (salât), they make it an object of derision and mockery; this because they are people devoid of understanding. - We already saw that “calling to faith” and “calling to prayer” amounts to the same because the ritual prayer (salât) is the symbol of faith in God in the Quran (see 2:277), except that “calling to faith” makes an even stronger point because it relates to the essence of what the ritual of salât is. In 3:191, the verb “nâdâ” (نادي, to call, form III) is used in the active voice. In 5:58, the verb “nâdâ” (نادي, call, form III) is also used in the active voice, and in the second person plural (lit., “When you call to prayer”) to refer to the ritual of the call to prayer in a general way. The exact expression in the verse is, to be very literal, “calling to” or “in the direction of (إلى = ilâ) the ritual prayer”, because the call to prayer is normally directly followed by the practice of salât. In this verse, the verb “nâdâ” (نادي, call, form III) is used in the passive voice (lit. “When the prayer is called on the day of gathering ...”), and puts us in the position where we undergo the action because we simply hear the call to prayer performed by “the caller”. To sum up, if we rely on verse 3:193, the name given to the call to prayer is “nidâ lil-îmâne" (لِلْإِيمَانِ نِدَي, the call to faith), but verses 5:58 and 62:9 also allow us to call it “nidâ lissalât” (لِلصَّلَاةِ نِدَي, the call to prayer). I think both are correct, the first being stronger because it literally conforms to the expression used in 3:193 where the call to prayer is quoted word for word. The verb “nâdâ” (نادي, to call, form III) occurs 44 times in the Quran. In the sequential order of all occurrences of the verb “nâdâ”, we find that the first time it refers to the “call to prayer” is its second occurrence, which is the verse where it is mentioned word for word, namely 3:193. It is quite astonishing that the very next time the verb “nâdâ” is used in the Quran is in verse 5:58 in the sentence “When you make the call to prayer, they make it an object of derision and mockery…”. In other words, 3:193 and 5:58, both of which refer to the call to prayer, follow each other directly in the chronological order in which the verb nâdâ is mentioned in the Quran. The last time the verb “nâdâ” refers to the call to prayer is verse 62:9, which calls for the weekly gathering on Friday. It is therefore logical to first mention the verse that reveals word for word “the call to faith” (آمِنُوا بِرَبِّكُمْ = Âminû bi rabbikum! = “Have faith in your Lord!”, 3:193) because the Quran first specifies what the call to prayer is. This verse is then directly followed by 5:58 which deals with the call to prayer in the community in general without referring to a particular day or prayer. Finally, verse 62:9 mentions the call to prayer on Friday for the mandatory prayer that reunites the community, which is the culmination of the Muslim week from a religious standpoint. We therefore have an orderly and logical succession. - Lying on the sides: asleep shortly before dawn. We know that these three positions and the same verb “dhakara” (ذكر = “to remember”, form 1) are mentioned in the same order in verse 4:103, which explains how to perform the ritual prayer in situations of danger (shortening the prayer to one rak’ah), and telling us to pray normally otherwise in a normal situation (i.e. two raka’ât as decreed in 15:87). As explained before, it is certainly no coincidence that verse 4:103 is the only one in the Quran that mentions that “the ritual prayer is prescribed to believers at specific times” because “standing, sitting and lying on the sides” (the three positions found in 3:191 and 4:103) symbolize the advent of the four mandatory daily prayers (before the sun reaches its highest point, mid-afternoon, right before nightfall, and at the approach of dawn when people are asleep). The verb “dhakara” often implies in the Quran that we must “remember God”, which involves making the call to prayer, followed with the ritual prayer as clarified previously (87:15, 2:114, 2:239, 3:41, 4:142 ...). 3:191-193 thus point at four calls to payer, followed by the four obligatory prayers (the night prayer is optional, as explained in detail in the main article “salât in the Quran”). This ensures that believers “remember” God without fail. We studied in the previous section that in the chronological appearance of the verb “nâdâ” in the Quran (which occurs 44 times), the call to prayer mentioned word for word in 3:193 is directly followed by verse 5:58 which mentions the call to prayer in general (and not just on Friday like in 62:9). This is not a coincidence, and is further proof that the “caller” mentioned in 3:193 recites the call to prayer and nothing else. We can therefore conclude that the three positions mentioned in 3:191 and 4:103 symbolically demonstrate that there is a call to prayer only four times a day in Islam, corresponding to the four obligatory prayers (midday, mid-afternoon, nightfall and dawn prayers). 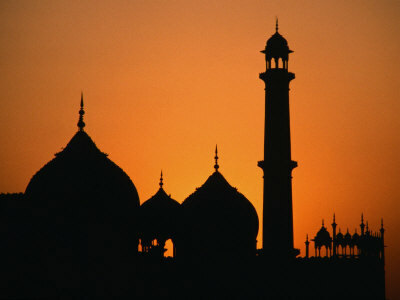 There is no call to prayer for the optional night prayer (when the night is completely dark) because the believer can perform it at a time of his choice, unlike the four obligatory prayers where one should normally pray shortly after the call to prayer, as exemplified by the Friday prayer (62:9). 362 (آمِنُوا بِرَبِّكُمْ) + 162 (الصلوة) = 524 = 4 x 131 (GV “صلوة” = “salât”). This seems to confirm 4 daily calls to prayer; and God knows best. The people who speak in 3:191-193 and who say that they answered “the call to faith” mention the words that compose the call to prayer (آمِنُوا بِرَبِّكُمْ = Âminoû bi rabbikoum! = “Have faith in your Lord!”) once. The purpose of the call to prayer is to be heard by the entire population in every community so it should be loud and long enough in order to invite the human race, Muslims or not, to remember God and make sure they pray on time. There is in my opinion no prohibition to recite and repeat “Âminoû bi rabbikoum!” several times in a row (1, 3, 7 times, 1 minute…, it does not matter) to make sure that everyone hears it before any of the four mandatory prayers. No matter how hard you try, the Sunni or Shia call to prayer is nowhere to be found in the fully detailed Quran (7:52, 6:114, 10:37). In other words, and by definition, it is not the authentic Islamic call to prayer. Up to this day, there is one difference in Sunni Islam regarding the call to prayer (and most likely more if we compare hadiths objectively as discussed in part one), which is reflected by the fact that the Sunni Maliki school recites “Allahu Akbar” only twice to start the adhân, while the other three prominent Sunni schools (Shafi’i, Hanbali and Hanafi) recite it four times. This demonstrates that, in reality, hadiths classified as “sahih” (authentic) are not reliable and that there was not a perfect agreement among Sunnis regarding the “adhân” two centuries after the death of the prophet when Bukhari, Muslim and other hadith collectors began compiling their hadiths into books. The Shia “adhân” is substantially different from the Sunni adhan because it adds “I bear witness that Ali is the representative of Allah” (twice). Under the influence of “hadiths other than God and His verses” (45:6), Sunnis and Shias claim that what is called “the iqama” (a second call to prayer, shorter among Sunnis) is to be recited right before the ritual prayer in mosques. It is a corruption of God’s pure religion because the Quran mentions only one type of call to prayer (3:193, 5:58, 62:9). - When it comes to believing in God or testifying that He is One, no name is ever mentioned beside God in the Quran (39:45, 3:18, 37:35, 47:19). In the Quran, only hypocrites feel the need to testify that Muhammad is the messenger of God (63:1). The Holy Quran commands us to believe that Muhammad is a messenger of God (3:179, 4:136, 7:158, ...), never to testify to it, which is reserved for God alone (3:18). - Mentioning Muhammad in the call to prayer or the shahadah is placing Muhammad above other messengers and prophets, and Allah forbids us to establish differences between messengers (2:136, 2:285, 3:84 and 4:152). In the Quran, it is the verb “nâdâ” (نادي = “to call in a loud voice”, form III) which is systematically used regarding the call to prayer (3:193, 5:58., 62:9), and Quranic Arabic requires that the person who performs the call to prayer must be named after the active participle derived from this verb (“nâdâ”, “to call in a loud voice”, form III), and not a verb with a different meaning as is the case for the verb “azdhana” (أَذَّنَ) which obviously comes from a different root. The verb “azdhana” (أَذَّنَ, form II) means “to announce” an information, an edict or a law in the Quran (7:44, 12:70, 22:27), and never “to call in a loud voice” like the verb “nâdâ”. The word “adhân” (أذان) is used once in 9:3 and means “proclamation”; it has strictly nothing to do with performing the call to prayer in a loud voice. In the Quran, the active participle of the verb “nâdâ” (نادي = “to call in a loud voice”, form III) is “munâdiyun” (مُنَادِيٌ = “caller”, form III, active participle of “nâdâ”, form III). “Salât” (the ritual prayer) symbolizes “faith” in the Quran, just like “zakât” symbolizes “good deeds” (2:277). It is therefore perfectly natural for “the munâdi” (المناد = “the caller”, form III = active participle of the verb “nâdâ”, form III) to “call to faith” in 3:193, expression which portrays the very nature of the ritual prayer, even though “calling to prayer” is equally correct (5:58, 62:9) from a Quranic standpoint. (3:191) Those who remember Allah standing, sitting and lying down on their sides; and they meditate about the creation of the heavens and the earth: “Our Lord, you have not created [all] this in vain; glory to you! So save us from the chastisement of fire.” (3:192) “Our Lord, whoever you admit in the fire has indeed incurred Your disgrace, and the wicked have no protector.” (3:193) Our Lord, verily we have heard a caller calling to faith, “Have faith in your Lord!”; So we have believed; Our Lord!, so remit our sins and expunge our evil deeds and cause us to die among the righteous. - The standing position relates to the middle and mid-afternoon prayers (when the sun is “standing” or “up” in the sky). - The sitting position symbolizes the approach of the nightfall prayer (the sun is also symbolically “sitting” when it sets at the horizon). - Lying down on the sides symbolizes the approach of the dawn prayer, when the believer is asleep shortly before the dawn prayer (the sun is also symbolically “lying down” when it is below the horizon). The details supporting these clarifications are explained in section 7.2. There are five prayers in Islam, but only four are mandatory (middle, mid-adfternoon, nightfall and dawn prayers; the night prayer is optional). (3:191) Those who remember Allah standing, sitting and lying down on their sides (i.e. the salât is performed three times daily, cf 4:103); and they meditate about the creation of the heavens and the earth: "Our Lord!, you have not created [all] this in vain; glory to you! So save us from the punishment of fire. " (3:192) "Our Lord!, whoever you admit in the fire has indeed incurred Your disgrace, and the wicked have no protector." (3:193) Our Lord!, verily we have heard a caller calling to faith, “Have faith in your Lord!”; So we have believed; Our Lord!, so remit our sins and expunge our evil deeds and cause us to die among the righteous. Since “remembering Allah standing, sitting and lying down on their sides” (the three typical positions of the human being) symbolizes the four moments of the four obligatory daily prayers (midday, mid-afternoon, nightfall and dawn), it implies that the call to prayer shall be made only four times daily in Islam, and that there is consequently no call to prayer for the optional prayer when the night is dark, which, in essence, is a purely voluntary act of worship. 362 (آمِنُوا بِرَبِّكُمْ) + 162 (الصلوة) = 524 = 4 x 131 (GV “salât”). This seems to confirm 4 daily calls to prayer, and God knows best. If one follows verse 3:193, the name given to the call to prayer is “nidâ lil-îmâne” (لِلْإِيمَانِ نِدَي, the call to faith), but verses 5:58 and 62:9 also allow us to call it “nidâ lissalât” (لِلصَّلَاةِ نِدَي, the call to prayer). It should be recited at least once since it is mentioned once in 3:193, and I don’t see any prohibition to recite it several times in a row before a given obligatory prayer because the goal is to make sure that the entire population hears it, including at the crack of dawn when everybody is asleep. It is noteworthy that in the chronological order of the use of the verb “nâdâ” in the Quran (نادي = “to call in a loud voice”, form III, verb used for the call to prayer in 3:193, 5:58, 62:9), the verb “nâdâ” in 3:193 is directly followed by the one in 5:58, which mentions the act of “calling to prayer”! It makes complete sense to first mention word for word the call to prayer in 3:193 (آمِنُوا بِرَبِّكُمْ = “Have faith in your Lord!”) before speaking about it in a general way in 5:58. Once again, this proves that God’s promise is the absolute truth and that the Quran is fully detailed (7:52, 6:114, 10:37): The call to prayer is indeed mentioned in 3:193, and unlike the Sunni or Shia “adhân” (an incorrect word from a Quranic point of view) which is derived from hadiths, there is no mention of the prophet beside God in the Quranic call to prayer, because doing so is an act of shirk (or “association”, see 39:45). The Quranic call to prayer is not only a “call to faith” addressed to the believers, but above all a call to faith addressed to the entire mankind. This is the very reason why God chose, in His infinite wisdom, to cite non-Muslims in 3:193 as mentioning word for word and answering the call to prayer, the verse implying that they embraced Islam by the simple act of performing the salât (ritual prayer).